Renault To Start Talks With Nissan If GM/Ford Talks Fail - Cars! Cars! Cars! The NY Times (registration required) reports: Renault Chief May Look to Ford if G.M. Talks Fail. Autoblog reports: GM and Renault/Nissan come back into the forefront, continuing talks. Cars! Cars! Cars! : Thanks for sitting down with us today. Carlos Ghosn: You're wel... Hey, you got salsa? I didn't get any salsa. I'll trade you something for the salsa. CCC: You can have ours. CG: No, no. Let's talk about this. I have some sour cream you can have. CCC: We have a lactose issue, so we'll skip it. You can have the salsa. Tell, us, how is it that you can be willing to make a deal with any U.S. manufacturer? Are GM and Ford that similar? CG: No, no. I have chips to trade for your salsa. How about that? 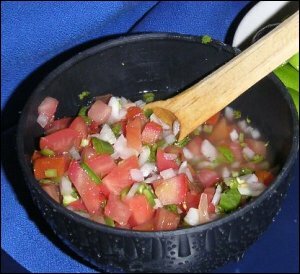 CCC: What will you eat the salsa on? CG: Gah! These talks are going nowhere.